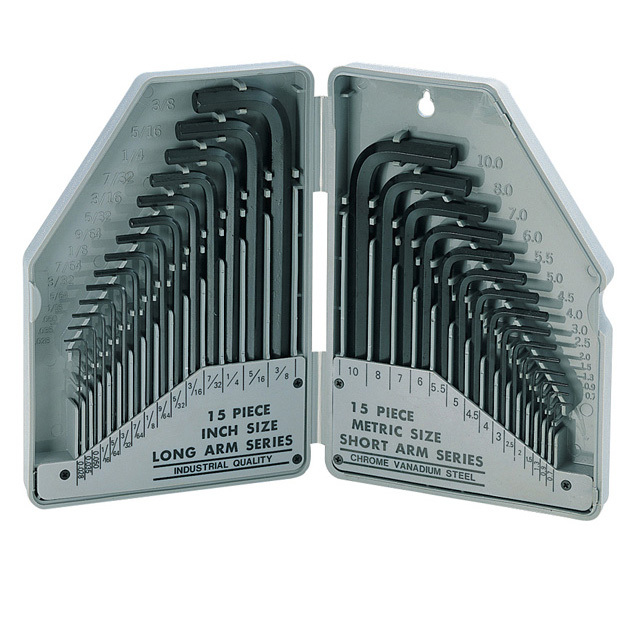 This set comes with a complete selection of hex keys all the way down to micro sizes for watch repair, etc. There are 15 long arm inch sizes and 15 short arm metric sizes for easy recognition. This set comes in a sturdy case for storage.